A simple Scapular Medal in the perfect size for all ages. 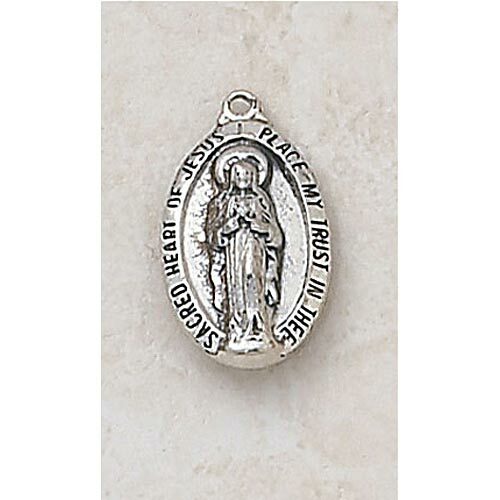 The Catholic Scapular Medal pictures the Sacred Heart of Jesus on the front side and Our Lady of Mount Carmel on the reverse. Take this Scapular. Whosoever dies wearing it shall not suffer eternal fire. It shall be a sign of salvation, a protection in danger and pledge of peace.